Worldwide estimates of oral submucous fibrosis (OSMF) show a confinement to Indians and Southeast Asians. In India, the prevalence of OSMF has increased over the past four decades from 0.03% to 6.42%. The condition is well recognized for its malignant potential rate of 7-30%. The condition has a multifactorial etiology and may remain either stationary or become severe, leaving an individual physically challenged both physically and psychologically. Hence, the study aims at reviewing studies done on various etiological factors leading to its onset. Their analysis may serve as an adjunct in defining the broad spectrum of the causation of this potentially malignant disorder. Prostate cancer, one of the most common male malignancies with an increasing incidence in the recent years, requires the development of new methods of treatment. One of the most debated subjects is the tumor-associated macrophages (TAM). Although, the pathophysiological mechanisms are still a subject of intense research, TAM acts as procarcinogenic factors. It was also demonstrated that hypoxia-inducible factor 1 (HIF1) induces the expression of TAM genes involved in prostate carcinogenesis. Furthermore, it should be noted that the stromal extracellular lactate, the result of tumoral glycolysis process is one of the HIF1 activators. In addition, lactate inhibits the differentiation of monocytes and dendritic cells and also induces the inactivation of the cytotoxic T-lymphocytes. Through an analysis of recent studies, we conclude that lactate is a vital component of several ways of modulating the immune response at the stromal prostatic adenocarcinoma including TAM activation and cytotoxic T lymphocytes immunosuppression. Our review focuses on the impact of lactate on prostatic adenocarcinoma progression in terms of its immunology, and how this influences the therapy of this condition and the clinical outcome. The intriguing array of spindle cell lesions occurring, especially in the head and neck region, poses a critical diagnostic challenge not only to the histopathologist but also ultimately to the clinicians for planning an appropriate treatment protocol. Overlapping spectrum of clinico-radiographic and microscopic features further compounds this problem. In such situations, the aid of ancillary techniques such as immunohistochemistry (IHC) is sought to clinch the diagnosis. 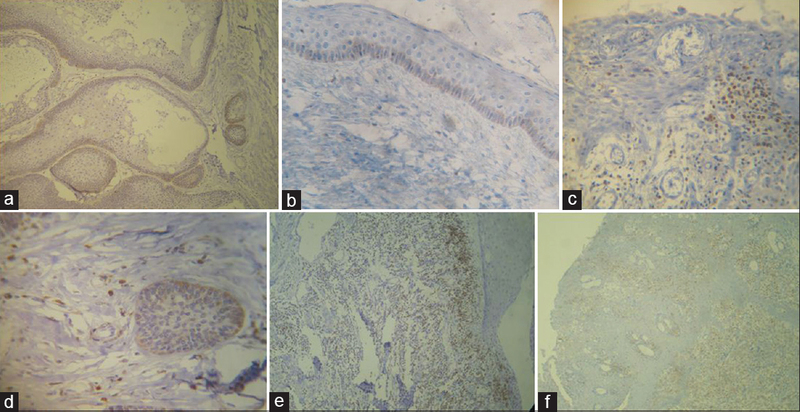 This study aims to review the spindle cell neoplasms of the oral cavity with emphasis on IHC. With the advent of new complex but precise radiotherapy techniques, the demands for an accurate, feasible three-dimensional (3D) dosimetry system have been increased. A 3D dosimeter system generally should not only have accurate and precise results but should also feasible, inexpensive, and time consuming. Recently, one of the new candidates for 3D dosimetry is optical computed tomography (CT) with a radiochromic dosimeter such as PRESAGE®. Several generations of optical CT have been developed since the 90s. At the same time, a large attempt has been also done to introduce the robust dosimeters that compatible with optical CT scanners. In 2004, PRESAGE® dosimeter as a new radiochromic solid plastic dosimeters was introduced. In this decade, a large number of efforts have been carried out to enhance optical scanning methods. This article attempts to review and reflect on the results of these investigations. Aim of the Study: Cell block (CB) technique when supplemented with conventional smear, provides increased cellularity, preservation of architectural pattern with excellent morphology, and a clear background. We compare the utility of CB technique compared to conventional smear in detection of malignancy in serous effusions. Materials and Methods: An institution-based observational and analytical study was carried out over 1 year on 50 patients with effusions. The residual amount of centrifuged deposit after preparation of conventional smear was mixed with 10% alcohol-formalin solution, and CBs were prepared. Calretinin and cytokeratin 5 were used for reactive mesothelial cells and Wilms tumor 1, thyroid transcription factor 1, CDX2, and estrogen receptor were used to confirm the adenocarcinoma cells. Results: Maximum patients belonged to the age group of 61–70 years. Male:female ratio 1:1.17. Most common cause of malignant peritoneal effusion was due to ovarian malignancies in females and adenocarcinoma of stomach in males while, in case of pleural effusion, it was breast carcinoma in females and lung carcinoma in males. Thirteen suspicious cases were subjected to immunohistochemistry (IHC). In 70% cases, CB findings were consistent with the findings of conventional smears. In 20% cases, the conventional smears were suspicious for malignancy, and malignancy was confirmed by CB technique, whereas in 10% cases, both smears and CB were suspicious for malignancy and the original nature of the lesion was confirmed by the IHC. Sensitivity and specificity of CB compared to conventional smear were 88.88% and 86.98%, respectively. Conclusion: CB produced significantly better results (P = 0.0271) while detecting malignant lesions and reducing suspicious results (P = 0.0226). Background: Head and neck cancers (HNCs) are a major form of cancers in India. The spectrum varies from place to place within the country because of significant diversified risk factors. Aims and Objective: To study, epidemiology and risk factors of HNC patients from Western Uttar Pradesh and to find out the correlation between risk factors and different anatomical regions involved. Materials and Methods: All patients with histologically confirmed diagnoses of HNC between January 2011 and December 2013 were selected from hospital records. Data regarding age, gender, addiction habits, site of tumor, and other details were obtained from their clinical records, and statistical analysis was done. Results and Conclusion: HNC accounts for 21.2% of total body malignancy and 47% of all malignancies in males and 2.5% in females. Squamous cell carcinoma was the most common histological type (97%). Maximum incidence of HNC (>60%) was in 40–60 year of age. Male:female ratio was 16:1. Oral cancers were most common HNC in patients below 40 year age group, whereas carcinoma oropharynx and larynx were more common in patients above 40 year age group. Tobacco smoking was a most prevalent risk factor for carcinoma oropharynx, larynx, and hypopharynx. Tobacco chewing was a most prevalent risk factor in females, young males, and carcinoma buccal mucosa patients. Habit of tobacco consumption in HNC patients was much higher than their normal counterpart. Alcohols drinking alone was observed in <1% patient as a risk factor. In oral tongue cancer, smoking and tobacco chewing were equally prevalent. Habit of tobacco chewing and alcohol were significantly higher in carcinoma buccal mucosa than other HNC suggesting synergistic effect specific to this site. Objectives: Precise determination of dose distribution around low-energy brachytherapy sources as well as considering tissue heterogeneity is crucial for optimized treatment planning. This study is aimed at determination and mathematically formulation of American Association of Physicists in Medicine Task Group No. 43 (AAPM TG-43) dosimetry parameters of 125I seed (model 6711) and calculation of dose difference caused by neglecting lung heterogeneity in permanent implant brachytherapy. Materials and Methods: Using MCNPX 2.6.0 code, 125I seed (model 6711) was simulated in a cubic water environment, and its dosimetry parameters mentioned in AAPM TG-43 protocol were obtained. 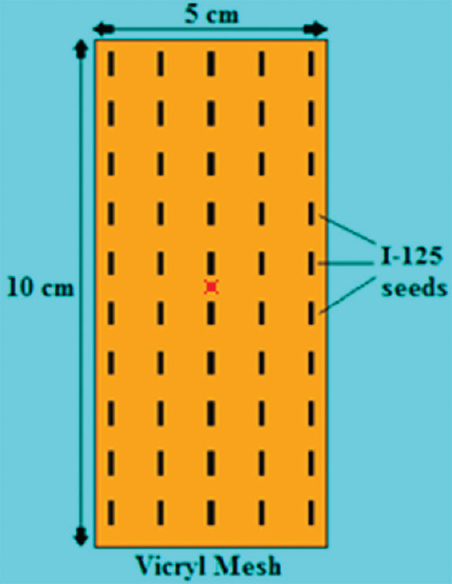 After benchmarking of parameters and comparison with prior studies, mathematical equations were fitted to the data, and a specific set of 125I seeds was simulated on a plane in simulated lung and water environments. Appropriate photon histories were considered to achieve data with maximum accuracy (max error 1%). In the end, isodose curves, profiles, depth dose, and dose difference between lung and water environments were obtained. Results: For 125I seed (model 6711), radial dose function and anisotropy functions were obtained precisely with R2 > 0.99, all in good agreement with previous studies and protocol. In addition, percentage dose difference between inhomogeneous lung and homogenous water environments in a 5 cm distance was calculated and presented as D (r) function with R2 > 0.99. Conclusions: Considering practical difficulties in dose calculations, 125I seed dosimetry parameters and lung heterogeneity corrections can be obtained precisely by MCNPX. Equations presented in this study are recommended to be considered in future studies based on lung permanent implantation. Background: Lysosomal storage disorders (LSDs) comprise a group of at least 50 distinct genetic diseases, each one resulting from the deficiency of a particular lysosomal enzyme involved in metabolism. 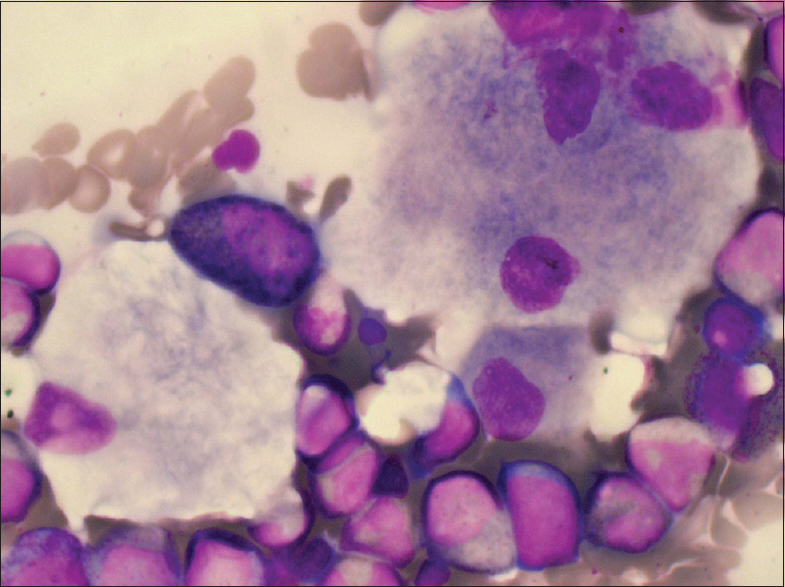 We attempt to study and further subclassify pediatric LSDs into Gaucher's and non-Gaucher's category based on the morphologic variables seen in the bone marrow aspiration smears and trephine biopsy sections. Materials and Methods: Pediatric (<12 years age) cases of LSDs diagnosed by bone marrow aspiration and trephine biopsy specimens, in the last 12 years period, were retrieved. The archival material and the relevant clinical as well as hematologic parameters were reviewed. Results: From January 1997 to December 2008, 55 cases were diagnosed as LSDs. Based on bone marrow morphology, 56% (n = 31) cases were diagnosed as non-Gaucher's and the remaining 44% (n = 24) cases as Gaucher's disease, the ratio being 1.29:1. Anemia and thrombocytopenia were more commonly observed in Gaucher's disease (91.67 and 62.5%) as compared to non-Gaucher's group (74.19 and 19.35%). Neurologic symptoms and signs were more frequently present in non-Gaucher's cases (45.16%) as compared to Gaucher's group (29.17%). Conclusion: LSDs can be classified into Gaucher's and non-Gaucher's subtypes based on the characteristic cytomorphology of the storage cells in Giemsa-stained bone marrow aspiration smears and on hematoxylin and eosin-stained trephine biopsy sections. This approach would be fairly adequate for therapeutic and prognostic purposes in resource.constrained settings, where enzyme studies and mutational analysis may not be easily available. Objectives: We conducted a retrospective multi-institutional study to evaluate the efficacy and toxicity of intraperitoneal or intrapleural triamcinolone acetonide (TA), a slowly metabolized corticosteroid administration for the management of malignant ascites or pleural effusion. Materials and Methods: The medical records of patients with gynecologic cancer who were treated with paracentesis or thoracocentesis followed by administration of 400 mg of TA between 2005 and 2014 were reviewed. Results: The median age of the 74 eligible patients was 59 years. An Eastern Cooperative Oncology Group performance status 3–4 was present in 53 patients (73%), and 52 patients (70%) had ovarian cancer. Paracentesis followed by TA administration was performed in 65 patients (88%), and 37 patients (50%) were treated in a palliative setting. 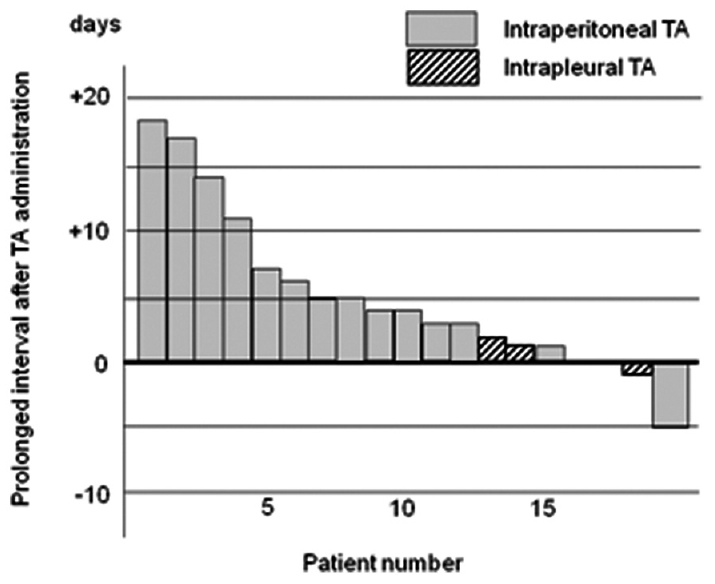 Chemotherapy or surgery after TA administration was performed in 37 patients (50%) in an aggressive setting, of which 14 patients (19%) were treated at the primary phase and 23 patients (31%) were treated at recurrent phase. The time interval of serial drainage was prolonged in 15 of 19 assessable patients, resulting in a response rate of 79% (95% confidence interval [95% CI]: 54–94%). 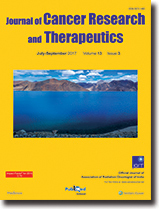 Median overall survival after TA therapy in a palliative setting was 36 days (95% CI: 19–58 days). After TA therapy in a palliative setting, one patient complained of mild abdominal pain, two patients with advanced peritonitis carcinomatosis experienced bowel perforation, and three patients died within 7 days owing to disease progression. Conclusions: Intraperitoneal and intrapleural TA administration were feasible and effective in symptomatic control of ascites and pleural effusion. Aims: The study is undertaken to correlate the fine-needle aspiration cytology (FNAC) findings with histopathology in a spectrum of thyroid lesions and to find the diagnostic accuracy of fine-needle aspiration (FNA) so that unnecessary thyroidectomies can be avoided in benign lesions. Materials and Methods: This study was carried out over the period of 1-year (May 1, 2012–April, 30 2013). FNA specimens obtained from 200 patients were analyzed. 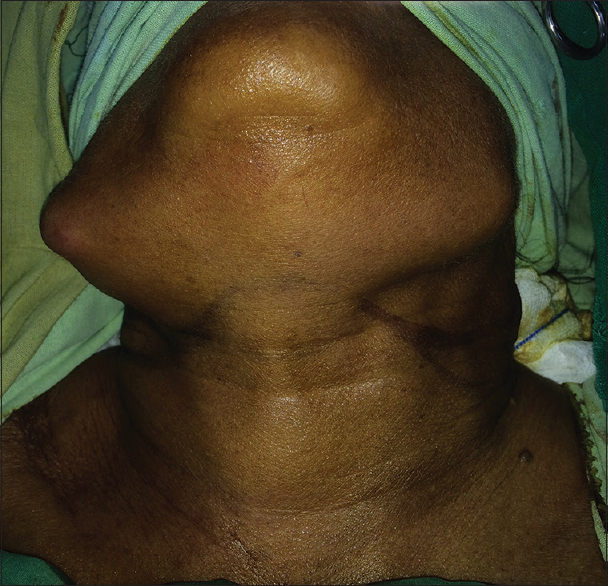 Of these, only 40 patients underwent surgery and their thyroid specimens were subjected to histopathological examination. Results: The age of the patients ranged from 9 to 82 years with mean age being 43 years. There was female preponderance, with male to female ratio being 1:7. On cytology out of 200 cases, 148 (74%) were benign, 25 (12.5%) were malignant, 16 (8%) were indeterminate, and 11 (5.5%) were nondiagnostic. Only 40 patients underwent surgery. On histopathology, 21 (52.5%) cases were benign and 19 (47.5%) were malignant. The statistical analysis of cytohistological correlation for both benign and malignant lesions revealed sensitivity, specificity, and diagnostic accuracy of 84%, 100% and 90%, respectively. Conclusion: FNAC is a minimally invasive, highly accurate and cost-effective procedure for the assessment of patients with thyroid lesions and has high -sensitivity and specificity. It acts as a good screening test and avoids unnecessary thyroidectomies. Aims: The reactor has increased its area of application into medicine especially boron neutron capture therapy (BNCT); however, accelerator-driven neutron sources can be used for therapy purposes. The present study aimed to discuss an alternative method in BNCT functions by a small cyclotron with low current protons based on Karaj cyclotron in Iran. Materials and Methods: An epithermal neutron spectrum generator was simulated with 30 MeV proton energy for BNCT purposes. A low current of 300 μA of the proton beam in spallation target concept via 9Be target was accomplished to model neutron spectrum using 208Pb moderator around the target. The graphite reflector and dual layer collimator were planned to prevent and collimate the neutrons produced from proton interactions. Neutron yield per proton, energy distribution, flux, and dose components in the simulated head phantom were estimated by MCNPX code. Results: The neutron beam quality was investigated by diverse filters thicknesses. The maximum epithermal flux transpired using Fluental, Fe, Li, and Bi filters with thicknesses of 7.4, 3, 0.5, and 4 cm, respectively; as well as the epithermal to thermal neutron flux ratio was 161. Results demonstrated that the induced neutrons from a low energy and low current proton may be effective in tumor therapy using 208Pb moderator with average lethargy and also graphite reflector with low absorption cross section to keep the generated neutrons. Conclusions: Combination of spallation-based BNCT and proton therapy can be especially effective, if a high beam intensity cyclotron becomes available. Background: Bleomycin-induced pulmonary (BIP) toxicity is a notorious entity and cropped up in roughly 10% of cases. The aim of the study is to evaluate BIP at our tertiary care cancer center. Patients and Methods: This is a retrospective, analytical study conducted at a tertiary care center from January 1998 to December 2012. Records of all the patients who were offered bleomycin chemotherapy as an integral part of adriamycin, bleomycin, vinblastine, and dacarbazine or bleomycin, etoposide, and cisplatin regimen in Hodgkin disease (HD) or germ cell tumor (GCT) were studied for the study inclusion criteria. Twenty-two patients treated with bleomycin who had respiratory symptoms and/or abnormal high-resolution computed tomography (HRCT) findings, suggestive of bleomycin-induced lung injury were included in this study. Results and Statistical Analysis: A total of 22 patients met the inclusion criteria for the study cohort. Of 22 patients, 8 were of HD and 14 were of GCT (nonseminomatous GCT [NSGCT] = 10 and seminomatous GCT = 4). Of 22 patients, 14 had symptoms of nonproductive cough, dyspnea and showed HRCT findings of ground glass opacities, diffuse alveolar damage, extensive reticular markings, traction bronchiectasis, and/or nodular densities. Two patients had fever and pleuritic pain. Eight patients were asymptomatic. Symptomatic patients were treated with prednisone at the dose of 0.75–1 mg/kg 4–8 weeks then gradually tapered. Four patients required noninvasive ventilatory support and managed with oxygen, nebulization, and antibiotics. Two patients required mechanical ventilatory support (HD = 1 and NSGCT = 1) and developed multiorgan failure subsequently succumbed to death. Conclusion: BIP is noteworthy lung toxicity as subsequent mortality ranges from 10% to 20% and shrinks survival rate in patients with highly curable malignant conditions. Physicians should be vigilant concerning this impending side effect. Objectives: Aim of the present study was to evaluate the in vitro cytotoxic potential of the diosmin in A431 skin cancer cells. 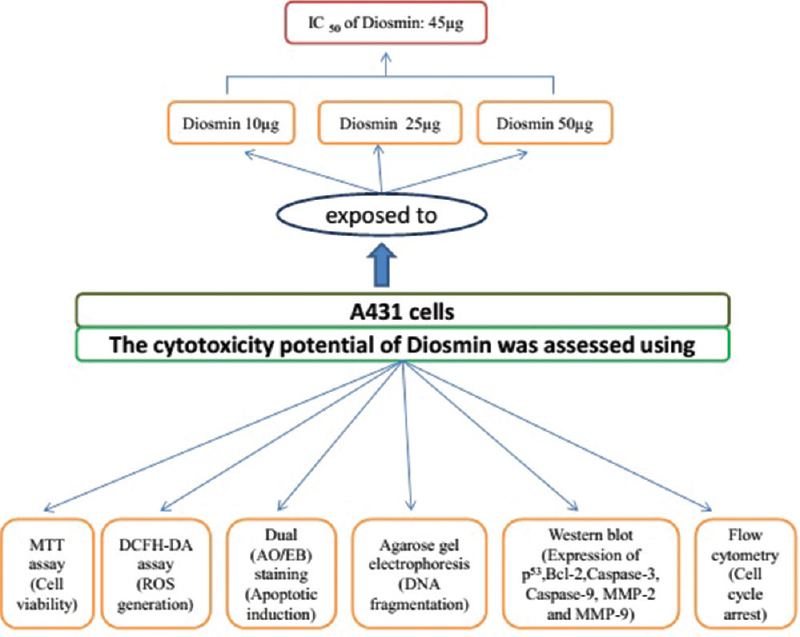 Materials and Methods: The cytotoxic (anti-cell proliferative) potential of diosmin in A431 cells was assessed using 3-(4,5-dimethylthiazol-2-yl)-2,5-diphenyltetrazolium bromide (MTT) assay (cell viability), dual staining (apoptotic induction), dichloro-dihydro-fluorescein diacetate assay (reactive oxygen species [ROS] generation), DNA fragmentation study, Western blotting analysis (apoptotic markers expression) and flow cytometry (cell cycle arrest). Results: Diosmin reduced the cell viability of A431 cells in a dose-dependent fashion and the inhibitory concentration 50% value was attained at 45 μg/ml using MTT assay. Diosmin at a concentration of 45 μg/ml generated excessive ROS in A431 cells, as compared to untreated cells. Diosmin treated A431 cells also revealed multiple DNA fragments than the untreated cells. Diosmin upregulated the expression of p53, caspases 3 and 9 and downregulated the expression of Bcl-2, matrix metalloproteinases-2 and 9 in A431 cells. Conclusion: The cytotoxic or anti-cell proliferative potential of diosmin is due to its ROS-mediated apoptotic induction potential, as well as due to its role in the inhibition of invasion in the A431 cells. Context: Since mechanisms of microRNAs (miRNAs) in gastric cancer stem cells (CSCs) and their signaling pathways remain unknown, our aim was to predict the miRNA target genes that differentially expressed in gastric CSCs. Subjects and Methods: Using miRanda, PicTar, and TargetScan algorithm, target genes of miRNAs differentially expressed in gastric CSCs versus parental cells were predicted. Afterward, signaling pathways and biological functions of miRNAs in gastric CSCs were analyzed by the Database for Annotation, Visualization and Integrated Discovery (DAVID) database and DIANA tools. Results: Gene ontology (GO) tool indicated that most of miRNA target genes involved in regulation of cell cycle, apoptosis, cell migration, vasculogenesis, angiogenesis, etc. Some of miRNA target genes are connected to pivotal signaling pathways of the “stem cell genes,” such as Notch, Wnt/β-catenin. Conclusions: Bioinformatics analysis such as DAVID database, GO biological process, GO molecular function, Kyoto encyclopedia of genes and genomes pathways, BioCarta pathway, Panther pathway, and Reactome pathway revealed that target genes of differentially expressed miRNAs in gastric CSCs were connected to pivotal biological pathways that involved in cell cycle regulation, stemness properties, and differentiation. Context: The eyelids are affected by wide spectrum of benign and malignant lesions. Basal cell carcinoma (BCC) is the most common malignancy encountered while other malignant lesions such as sebaceous cell carcinoma and squamous cell carcinoma are rare. Data regarding geographical variation in trends of malignant eyelid tumors are presented in the current study. Settings and Design: Prospective, longitudinal, observational study was conducted from December 2011 to October 2013. Subjects and Methods: Patients with mass or growth involving eyelid managed by surgical intervention were selected for the study. Excised tissue masses were sent for histopathological examination. Results: Fifty-two cases of extraocular tumors were operated during the study period, out of which 25 cases (48%) were of eyelids. Sixteen cases (64%) were benign, and remaining 9 cases (36%) were malignant eyelid neoplasms. Benign lesions exhibited female preponderance with male:female ratio of 1:2.25. No significant difference was noted in cases of malignant lesions with male:female ratio of 1:1.25. Most common benign tumor observed was sebaceous cyst. Sebaceous gland carcinoma (4 cases) was the most common malignant neoplasm followed by squamous cell carcinoma (2 cases) and BCC, orbital melanoma, and adenocarcinoma (1 case each). Conclusions: Sebaceous gland carcinoma is more common in North India as compared to BCC and squamous cell carcinoma. Aims: Respiratory cancer database (RespCanDB) is a genomic and proteomic database of cancer of respiratory organ. It also includes the information of medicinal plants used for the treatment of various respiratory cancers with structure of its active constituents as well as pharmacological and chemical information of drug associated with various respiratory cancers. 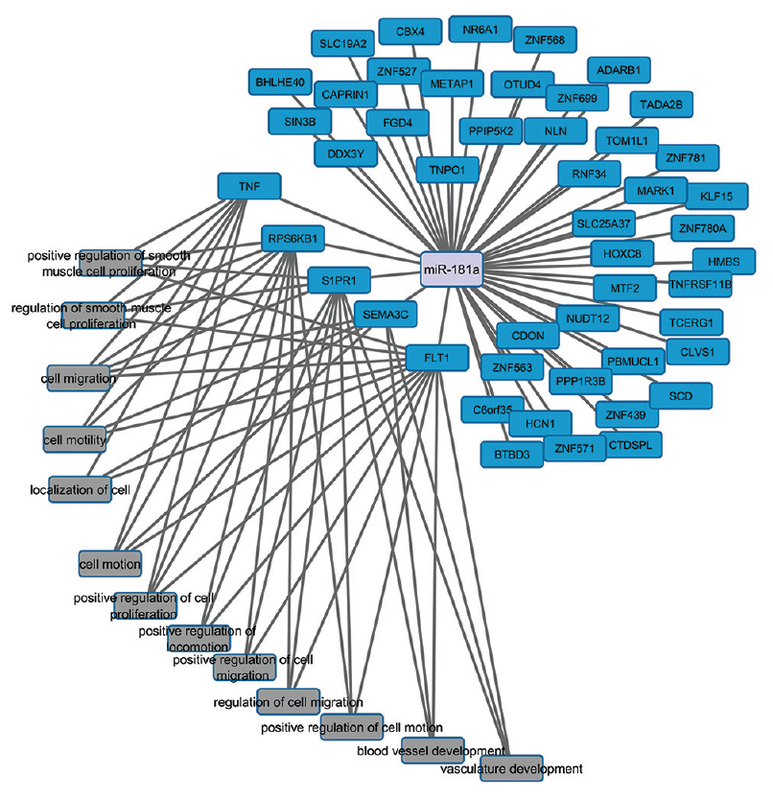 Materials and Methods: Data in RespCanDB has been manually collected from published research article and from other databases. Data has been integrated using MySQL an object-relational database management system. MySQL manages all data in the back-end and provides commands to retrieve and store the data into the database. The web interface of database has been built in ASP. Results and Conclusions: RespCanDB is expected to contribute to the understanding of scientific community regarding respiratory cancer biology as well as developments of new way of diagnosing and treating respiratory cancer. Currently, the database consist the oncogenomic information of lung cancer, laryngeal cancer, and nasopharyngeal cancer. Data for other cancers, such as oral and tracheal cancers, will be added in the near future. The URL of RespCanDB is http://ridb.subdic-bioinformatics-nitrr.in/. Aim of Study: To establish trends of estimation error of dose calculation by anisotropic analytical algorithm (AAA) with respect to dose measured by thermoluminescent dosimeters (TLDs) in air-water heterogeneity for small field size photon. Materials and Methods: TLDs were irradiated along the central axis of the photon beam in four different solid water phantom geometries using three small field size single beams. The depth dose profiles were estimated using AAA calculation model for each field sizes. The estimated and measured depth dose profiles were compared. Results: The over estimation (OE) within air cavity were dependent on field size (f) and distance (x) from solid water-air interface and formulated as OE = − (0.63 f + 9.40) x2+ (−2.73 f + 58.11) x + (0.06 f2 − 1.42 f + 15.67). 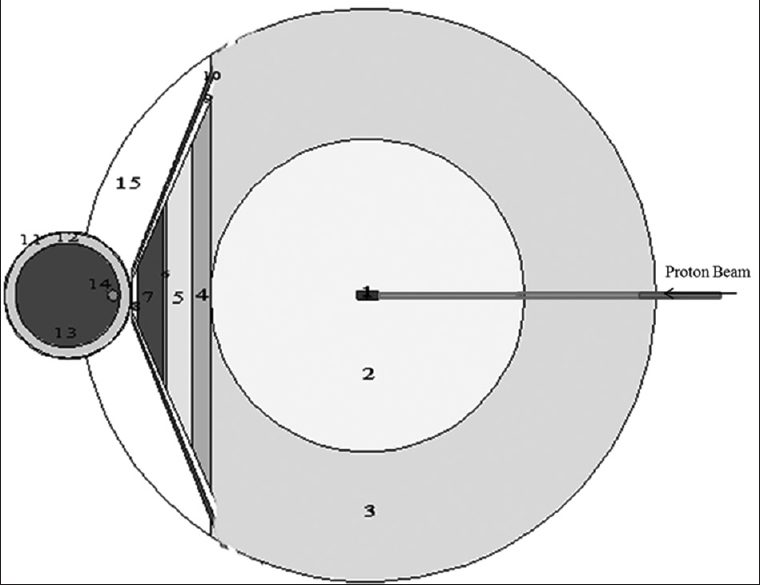 In postcavity adjacent point and distal points from the interface have dependence on field size (f) and equations are OE = 0.42 f2 − 8.17 f + 71.63, OE = 0.84 f2 − 1.56 f + 17.57, respectively. Conclusion: The trend of estimation error of AAA dose calculation algorithm with respect to measured value have been formulated throughout the radiation path length along the central axis of 6 MV photon beam in air-water heterogeneity combination for small field size photon beam generated from a 6 MV linear accelerator. 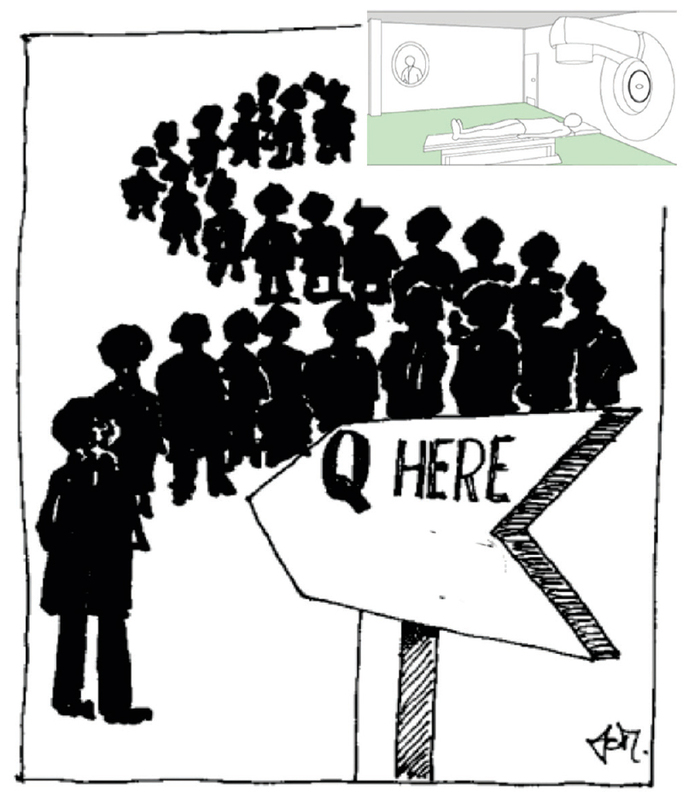 Introduction: Waiting lists are problems that plague all government radiation therapy centers across the country, leading to disease progression, and reduced treatment efficacy. No shows for appointments create artificial access issues, reduce revenues, waste staff time, and negatively affect patient care. Methodology: A Retrospective analysis of 180 patients, who were given an appointment and were to be started for radiation therapy at the Department of Radiation Therapy and Oncology, at our institute from May 1, 2013 to July 31, 2013, was done. Patients were divided into two Groups; Group A (n = 104, 57.8%) that complied for treatment and Group B (n = 76, 42.2%) that did not comply for treatment on the scheduled date. The Group B (“no shows”) patients were contacted telephonically and were evaluated for the primary reasons for their failure to comply for treatment through a preformed questionnaire. Results: The mean age, gender distribution and patient's habitat in both the groups were comparable. On Group B analysis, the average waiting period for the appointment was 74 days; 31.4% had died within an average of 31 days; 37.1% said they were better; 10% said their condition was the same; 18.6% said their disease had progressed. Patients were also evaluated for various factors responsible for their not reporting for treatment at the institute. Conclusion: Better communication and constant reminders between patients and the departmental staff can go a long way in helping to curb the problem of no shows and mitigate the artificial access issues. This would lead to better patient care and better resource utilization. Purpose: High atomic number elements are commonly used in a hip prosthesis which can cause uncertainty in accurate dose calculations in radiation therapy. The aim of this study is to assess the accuracy of the three various algorithms of ISOgray treatment planning system in the presence of hip prosthesis by Monte Carlo (MC). Materials and Methods: A MC model of Siemens PRIMUS linear accelerator has been built and verified by the measured data of the different algorithms of ISOgray treatment planning systems (TPS) in 6 and 15 MV photon beam energies. Two types of hip prosthesis have been used: stainless steel and titanium. The accuracy of mentioned dose calculation algorithms in the presence of hip prosthesis was evaluated. Results: There were 24.78%, 27.68%, and 27.72% errors in fast Fourier transform (FFT) Convolution, collapsed cone (CC), and superposition in 6 MV photon beam and 26.45%, 30.45%, and 28.63% in 15 MV photon beam for titanium type, respectively. However, there were 32.84%, 35.89%, and 35.57% in 6 MV photon beam and 38.81%, 47.31%, and 39.91% errors in 15 MV photon beam in steel type, respectively. In addition, the ISOgray TPS algorithms are not able to predict the dose enhancement and reduction at the proximal and distal prosthesis interfaces, respectively. Conclusions: Hip prosthesis creates a considerable disturbance in dose distribution which cannot be predicted accurately by the FFT convolution, CC, and superposition algorithms. It is recommended to use of MC-based TPS for the treatment fields including the hip prosthesis. Background: The prognosis of recurrent or metastatic head and neck squamous cell cancer (HNSCC) is very poor. In the present retrospective study, we compared the impact of docetaxel plus cisplatin plus fluorouracil (TCF), and cisplatin plus fluorouracil plus cetuximab (CF-Ctx) regimens on the prognosis of patients with recurrent or metastatic HNSCC in first-line. Materials and Methods: A total of 70 patients were evaluated as two groups, according to treatment protocol: TCF (n: 47) and CF-Ctx (n: 23). The groups were compared regarding survival. Results: The median progression-free survival was 7.3 and 8.3 months, TCF and CF-Ctx groups, respectively, (P = 0.280). 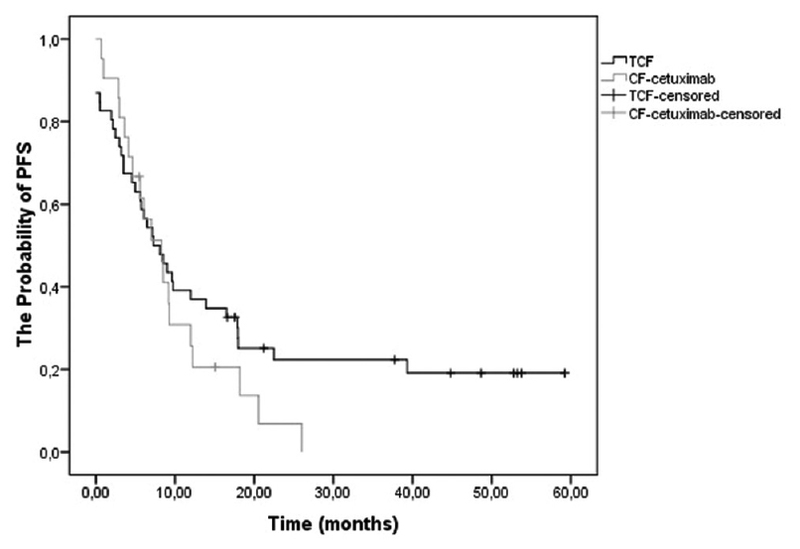 The median overall survival (OS) was 15.6 and 9.3 months for TCF and CF-Ctx groups, respectively, (P = 0.029). 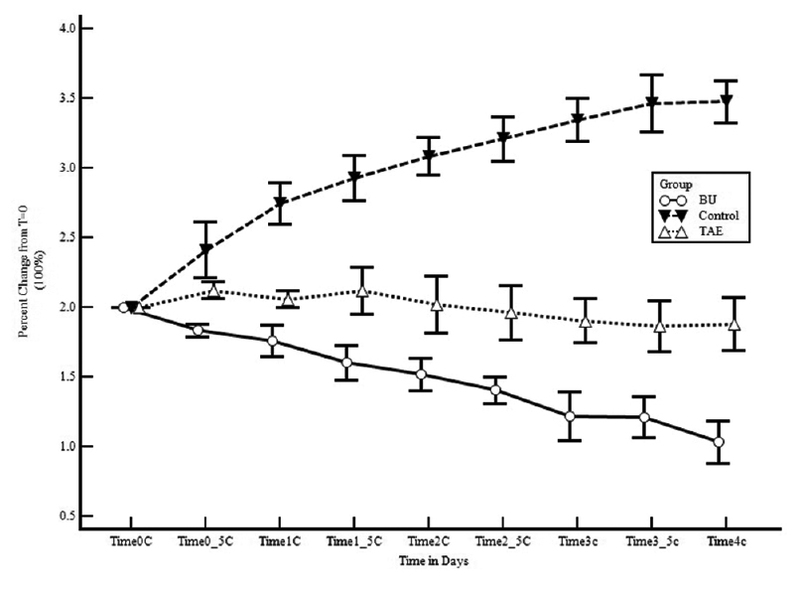 The dose reduction and using of granulocyte colony stimulating factor were significantly higher in TCF group (P = 0.048 and P = 0.018, respectively). Conclusion: In first-line setting, TCF regimen is superior to CF-Ctx regimen in terms of OS in patients with recurrent or metastatic HNSCC, who did not previously receive neoadjuvant or adjuvant chemotherapy. Context: Malnutrition is a common problem among cancer patients, usually occurs due to poor appetite, low food intake, and changes in body metabolism. Aims: The aim of this study is to determine the prevalence of malnutrition in patients receiving chemotherapy on an outpatient basis. Settings and Design: This cross-sectional study conducted on 300 cancer patients referred to hospital. Subjects and Methods: The prevalence of malnutrition among patients was assessed using the abridged scored patient-generated subjective global assessment (abPG-SGA) standard questionnaire. Moreover, patient's weight and 24 h dietary recall were measured. Statistical Analysis Used: Descriptive statistics were used to present characteristics of patients and dietary recalls. For revealing the correlation, Spearman correlation was used. Results: The average abPG-SGA score was 7.6 (standard deviation [SD] = 5.4) and 60.7% of patients were malnourished and required nutritional intervention. Patients mean age and mean duration of illness were 54.2 (SD = 14.7(years, 25 months, respectively. The most common complaint of patients included fatigue (51.3%), anorexia (43.3%), and dry mouth (41%). Reduction in food intake in past month was reported by 41.7% of patients. Conclusion: According to the high prevalence of cancers and increasing growth of them in recent years with regard to outpatient treatment development for cancer patients, using the abPG-SGA standard questionnaire by nutritionist or nurses can be effective to detect malnourished patients and reduce complications caused by disease. Aim: To determine the efficacy of belly board device in patients receiving postoperative radiation for gynecological malignancies in terms of setup error and acute small bowel toxicity. 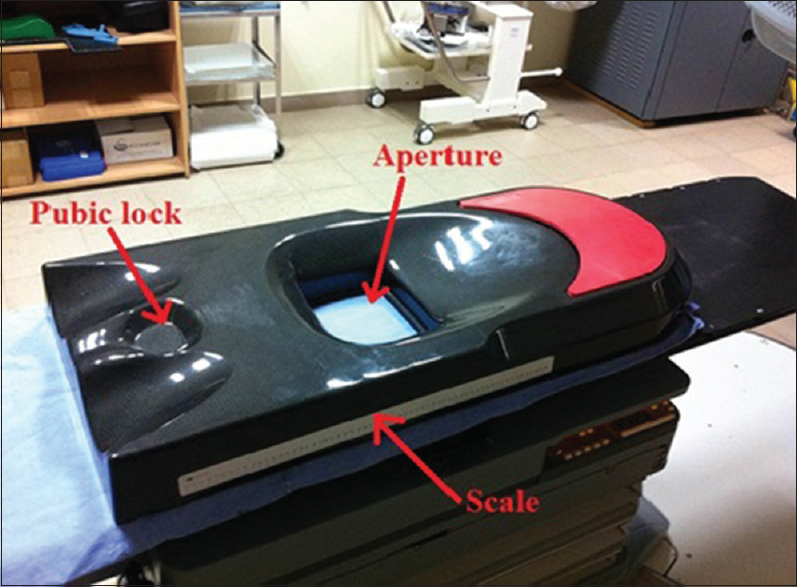 Materials and Methods: Patients requiring postoperative radiation for gynecological malignancies were prospectively randomized to either treatment with supine position (supine arm) or prone position using belly board (prone arm). 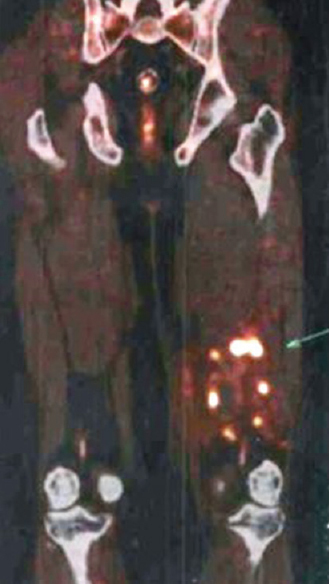 Each patient underwent computed tomography simulation in the assigned treatment position, and a three-dimensional conformal radiation was planned. Weekly two to three treatment sessions were verified using portal imaging and setup errors were noted. All patients were reviewed weekly to assess for symptoms and toxicity using a structured format. The systematic and random errors were calculated along the three axes. Results: Twenty-four patients were randomized and 22 patients were available for the final analysis. The systematic error in supine arm versus prone arm was 3.9 versus 3.5 mm, 2.1 versus 4.8 mm and 3.1 versus 3.1 mm along lateral, antero-posterior (AP) and cranio-caudal (CC) direction. The random error in supine arm versus prone arm was 5 versus 3.9 mm, 2.9 mm versus 4.4 mm and 4.3 versus 3.4 mm along lateral, AP and CC direction. The calculated planning target volume margin for supine arm was 1.3, 0.7, and 1.0 cm and margin for prone arm was 1.1, 1.5, and 1.0 cm along lateral, AP, and CC direction, respectively. One patient in supine arm developed Grade 3 toxicity. Conclusion: The systematic error and random error is more along AP direction for prone position. The acute small bowel toxicity was less using belly board. Purpose: To evaluate the emotional, sexual and health-related quality of life (HRQoL) concerns of the women with gynecologic malignancy treated with curative radiotherapy (RT). 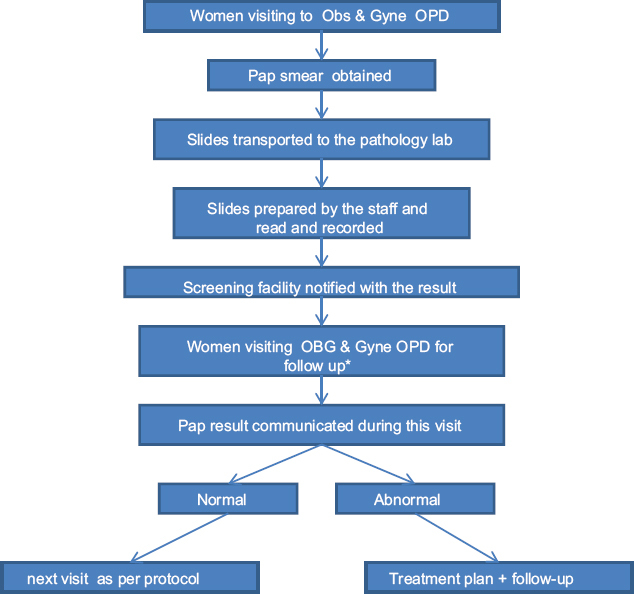 Patients and Methods: A 100 women with diagnosis of gynecologic malignancy were prospectively enrolled. HRQoL at baseline, at the end of RT and during follow-up was assessed using European Organization for Research and Treatment of Cancer QoL Questionnaire-C30 (EORTC QLQ-C30), EORTC QLQ-cervical cancer module 24, and Hospital Anxiety and Depression Scale. Results: The appetite loss, diarrhea, fatigue, dyspnea, insomnia, nausea and vomiting, pain scores, and sexual activity and sexual enjoyment scores were deteriorated after RT (P = 0.02 for pain scores and P < 0.001 for all other). Body image scores were higher in patients with endometrial cancer (P < 0.01). The emotional function, nausea and vomiting, body image and symptom experience scores were higher in patients who underwent chemotherapy (P = 0.04 and P = 0.01). 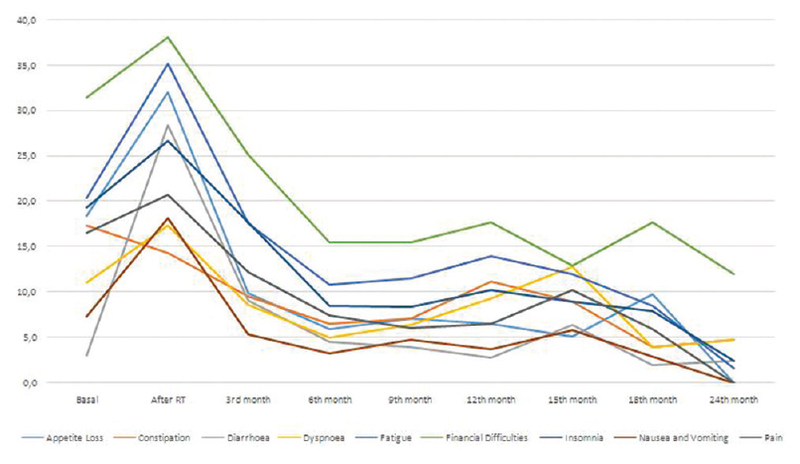 All the complaints of patients improved during follow-up period. The global health status scores and the level of depression deteriorated in patients with locoregional recurrent disease and distant metastasis. The anxiety (P = 0.001) and depression (P = 0.007) levels were higher in basal and after-RT visits but then decreased through the subsequent follow-up visits. Conclusion: Although pelvic RT deteriorated HRQoL in patients with gynecologic malignancy, HRQoL improved during the follow-up period. The progressive disease had a negative impact on HRQoL. Background/Aim: The aim of this study was to determine whether the addition of bumetanide (BU), a glycolytic metabolism pathway inhibitor, to arterial embolization improves tumor necrosis of N1-S1 hepatocellular carcinoma in a rat model. Materials and Methods: N1-S1 tumors were surgically implanted in the liver of 14 Sprague-Dawley rats. The rats were divided into three groups: In control group (n = 5), 1 ml of normal saline was injected intra-arterially. The tumor in the transarterial embolization group (TAE, n = 4) was embolized using 10 mg of 50–150 μ polyvinyl alcohol (PVA) particles and embolization plus BU group (TAE + BU, n = 5) were embolized with 10 mg of PVA plus 0.04 mg/kg of BU. Tumor volume was measured using two-dimensional ultrasound before intervention and twice a week afterward. Relative tumor volume after the intervention was calculated as the percentage of preinterventional tumor volume. After 4 weeks of observation, the rats were sacrificed for histopathological evaluation. Results: No statistically significant difference was detected in the preintervention tumor sizes between the three groups (P > 0.05). In the control group, the relative tumor volume increased to 142.5% larger than baseline measurements. In the TAE group, the tumor volume decreased by 18.2 ± 12.2%. The tumor volume in the TAE + BU group decrease by 90.4 ± 10.2%, which was 72.2% more than in TAE only group (P < 0.0001). Histopathological evaluation demonstrated no residual tumor in the TAE + BU group. Conclusion: Tumor necrosis significantly increased in N1-S1 tumor that received BU at the time of TAE when compared to TAE alone. 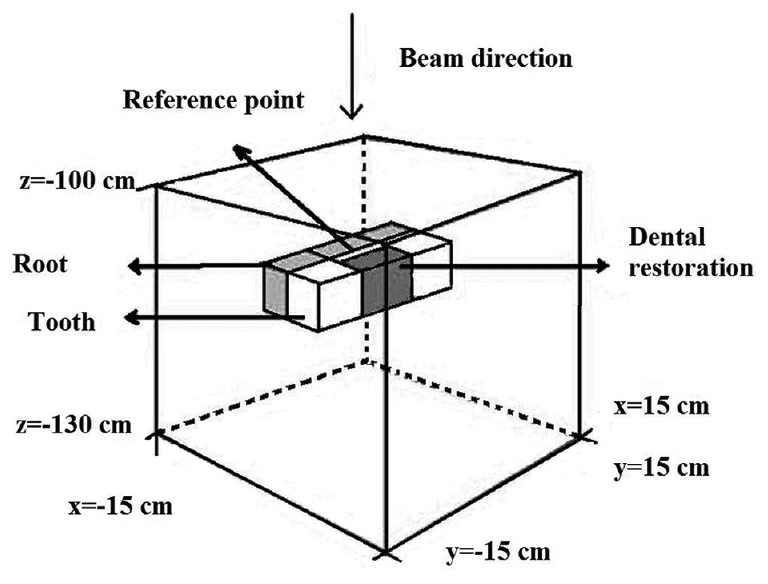 Aim: The purpose of this study is to evaluate the effect of various dental restoration materials on dose distribution in radiotherapy of head and neck cancer with 6 MV photon beam of a medical linac. Setting and Design: The dental restorations include tooth, tooth with amalgam, tooth with Ni-Cr alloy, and tooth with Ceramco. Dose perturbation due to the dental restorations on 6 MV beam of Siemens Primus linac was calculated by MCNPX Monte Carlo code. These dental materials were separately simulated in a cubic water phantom. Materials and Methods: Photon percentage dose change in the presence of tooth, tooth with amalgam, tooth with Ni-Cr alloy, and tooth with Ceramco was calculated at various depths on the central axis of the beam relative to the dose in water. In another evaluation, the absolute dose (cGy) for water, tooth, tooth with amalgam, tooth with Ni-Cr alloy, and tooth with Ceramco was obtained by calculating 100 cGy dose at 0.75 cm depth in the water phantom. Results: Based on the calculations performed, maximum percentage dose change due to backscattering was 11%, 8%, 6%, and 4% for amalgam, Ni-Cr alloy, Ceramco and tooth at depth of 0.75 cm, respectively. The maximum dose perturbation by amalgam is due to its higher mass density and atomic number. Conclusion: Ignoring the effect of dental restoration compositions on dose distribution causes discrepancy in clinical treatment planning system calculations. Introduction: Serum ferritin is the best indicator of iron stores in the body. The level of serum ferritin was found to be elevated in number of malignancies. Serum ferritin is also been established as prognostic marker for malignant lymphoma, cervical cancer, breast cancer, etc. Aims and Objective: The aim of this study is to evaluate the level of serum ferritin in patients with pretreatment and posttreatment of squamous cell carcinoma and to determine the significance of serum ferritin as prognostic marker for oral squamous cell carcinoma (OSCC). Materials and Methods: Blood samples of 15 normal, thirty potentially malignant lesions, and thirty patients of squamous cell carcinoma were taken and analyzed for serum ferritin using ELISA. Of thirty patients, 15 patients were followed up till 6 months after their treatment and serum ferritin was again determined. Results: The average serum ferritin of 30 potentially malignant disorders was 62.70 ng/ml, and thirty patients with squamous cell carcinoma were found to be 162.47 ng/dl. After 6 months of the treatment, the mean fall in serum ferritin with nonrecurrence patients was 84 ng/dl and increase in the serum ferritin in recurrence cases was 13.4 ng/dl. 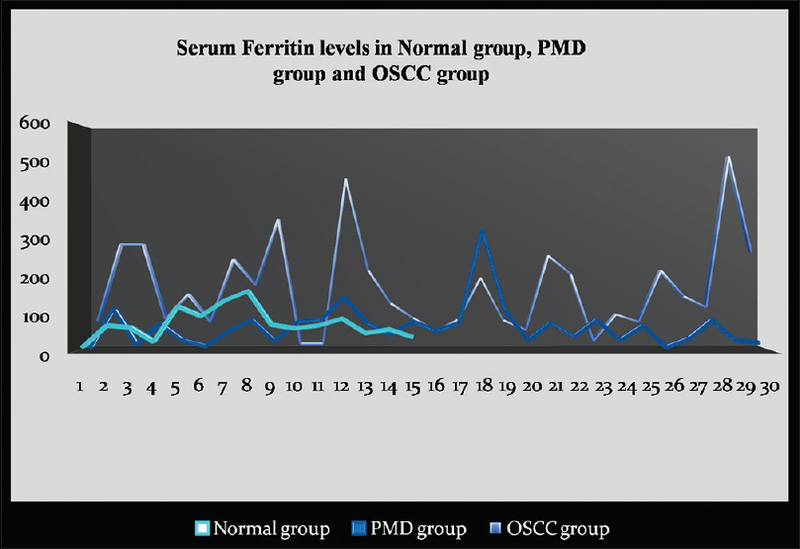 Conclusion: Determining serum ferritin is a convenient and nonexpensive method to determine the outcome of the treatment of the cases with OSCC. Its potential as prognostic marker could not be overlooked. Context: Metabolomics is a core discipline of system biology focusing on the study of low molecular weight compounds in biological system. Analysis of human metabolome, which is composed of diverse group of metabolites, can aid in diagnosis and prognosis of oral squamous cell carcinoma (OSCC). Aim: The aim of the present study is to analyze and identify serum metabolites in oral leukoplakia and OSCC as a potential diagnostic biomarker and a predictor for malignant transformation of oral leukoplakia. Subjects and Methods: Serum metabolomic profile of patients diagnosed with oral leukoplakia (n = 21) and OSCC (n = 22) was compared with normal controls (n = 18) using quadrupole time of flight-liquid chromatography–mass spectrometry. 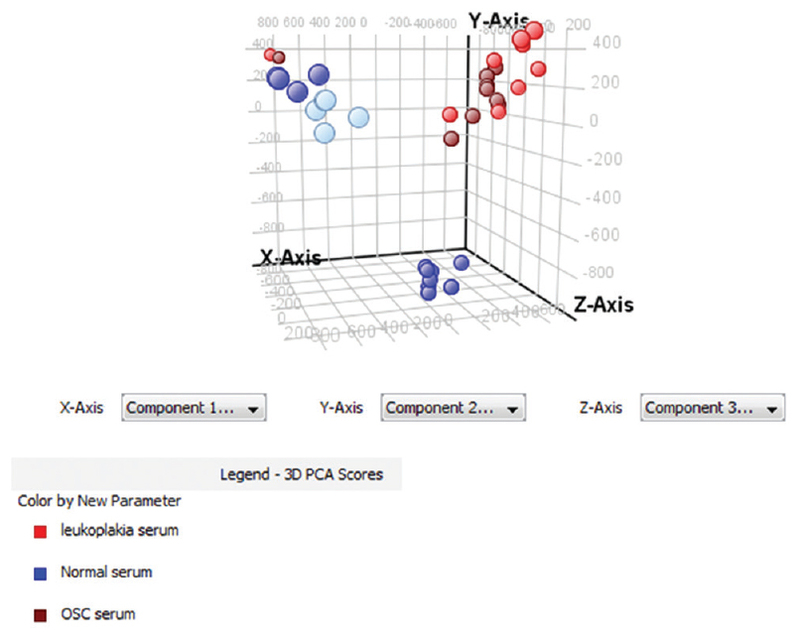 MassHunter profile software was used for metabolite identification, and statistical analysis to assess the variation of the metabolites was performed using Mass Profiler Professional software. Statistical significance between the three groups was expressed using ANOVA (P < 0.05), and intergroup comparison was done using Student's t-test (P < 0.05). Results: Significant upregulation of estradiol-17-beta-3-sulfate, L-carnitine, 5-methylthioadenosine (MTA), 8-hydroxyadenine, 2-methylcitric acid, putrescine, and estrone-3-sulfate was seen in oral leukoplakia and OSCC than in normal controls. Furthermore, significant upregulation of 5,6-dihydrouridine, 4-hydroxypenbutolol glucuronide, 8-hydroxyadenine, and putrescine was evident in OSCC group than in oral leukoplakia. Conclusion: Upregulation of L-carnitine, lysine, 2-methylcitric acid, putrescine; 8-hydroxyadenine; 17-estradiol; 5,6-dihydrouridine; and MTA suggests their diagnostic potential in oral leukoplakia and OSCC. Further, a significant upregulation of putrescine, 8-hydroxyadenine, and 5,6-dihydrouridine in OSCC than in oral leukoplakia indicates their potential role in predicting the malignant transformation of oral leukoplakia. Introduction: This study set out to explore if breast cancers of different sizes are detected with varying sensitivity. In addition, we attempt to determine the effect of tumor size on screening detectability. Subjects and Methods: Data arising from the Canadian National Breast Screening Study (CNBSS) was used to perform all analyses. The CNBSS consists of two randomized controlled trials, which includes data on detection methods, age, and allocation groups. We stratified tumor size by 5 mm; age into 40–49 and 50–59 years age groups; and cancer detection or presentation methods into mammography only, physical breast examination only, both mammography and physical breast examination, interval cancers, and incident cancers. 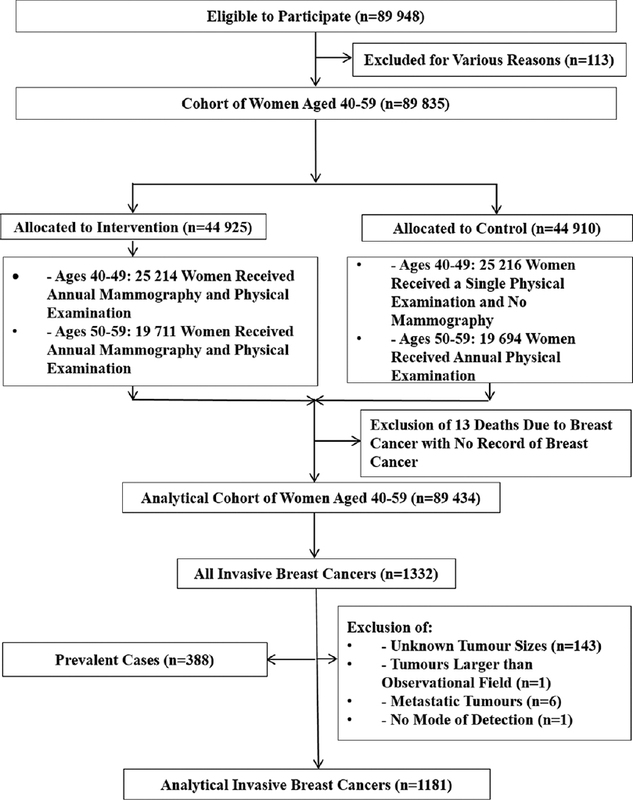 Results: This study revealed that a difference in tumor size exists for age (smaller tumor sizes are found in older women) and breast cancer detection or presentation modes. More specifically, breast cancers detected by mammography screening are statistically smaller than those detected by physical breast examination or those presenting as incident or interval cancers. This study also found that tumor size affects screening detectability for women in their 50's but not in their forties. That is, a statistically significant difference between mammography screening alone and physical examination alone was observed for women between the ages of 50–59 for tumor sizes up to 20 mm, including prevalent cases, and up to 15 mm when prevalent cases were excluded. Conclusion: The results of this study suggest that smaller breast cancers are more likely to be detected among women in their 50s. Introduction: The odontogenic keratocyst is known for its aggressiveness, high recurrence rate, and transformation of keratinized epithelia to nonkeratinized squamous epithelium for which inflammation has been suggested to be responsible. B-cell lymphoma/leukemia-2 (Bcl-2) an anti-apoptotic protein, prolongs the life span of epithelial cells and allows proliferation, differentiation, and morphogenesis. Materials and Methods: Study was carried out comprising of 90 cases; (30 ameloblastoma, 30 keratocystic odontogenic tumor (KCOT), and 30 radicular cyst). Bcl-2 expression was determined with respect to localization, area (percentage) and intensity of stained cells in epithelium, and connective tissue stroma by counting the endothelial, round, and fusiform cells. Results: In epithelium bcl-2 expression in KCOTs was higher followed by ameloblastoma and lowest in the radicular cyst. Whereas, in connective tissue stroma bcl-2 expression was higher in KCOT and radicular cyst than ameloblastoma cases. Solid variants showed statistically higher expression as compared to the unicystic variants of ameloblastoma (P = 0.009, 0.033, 0.011, and 0.041). Conclusion: High expression of bcl-2 in KCOT supports the general agreement that some features of KCOT are those of a neoplasia. The bcl-2 expression in connective tissue cells suggests that these cells may also be important as epithelial cells in the biological behavior odontogenic keratocyst. Introduction: Chewing tobacco, smoking, and consumption of alcoholic beverages have become common social habits in India. No study has been conducted so far in this part of Bihar regarding the prevalence of tobacco. The aim of this study was to estimate the prevalence of tobacco use, its influences, triggers, and associated oral lesions. Materials and Methods: A hospital-based cross-sectional study was conducted. Patients who consume tobacco in any form were selected and were interviewed through a pretested structured questionnaire in relation to their tobacco habits, its influences, and triggers. In addition, clinical examination was carried out to check for any tobacco-related oral lesions. Results: The overall prevalence of tobacco use was 16.69%, out of which 14.48% were males and 2.21% were females. The most affected age group was from 19 to 50 years. 13.45% were below 18 years of age. 43.40% males and 77.42% females having the tobacco habit were illiterates. The majority of individuals were addicted due to peer pressure and friends, some acquired it, due to loneliness, stress, and for adapting themselves in the work place. Females frequently used smokeless for cleaning teeth. The most common oral mucosal lesion in both males (53.26%) and females (18.55%) was tobacco hyperkeratosis. Conclusion: The present study reflects the high prevalence rates of tobacco use among various sections of society. Apart from mass against tobacco products, authorities should focus on strict enforcement of law and promote research for creating new and harmless replacement products. Pituitary adenoma is one of the most common intracranial neoplasms, usually presenting with endocrinopathies or visual field defects. 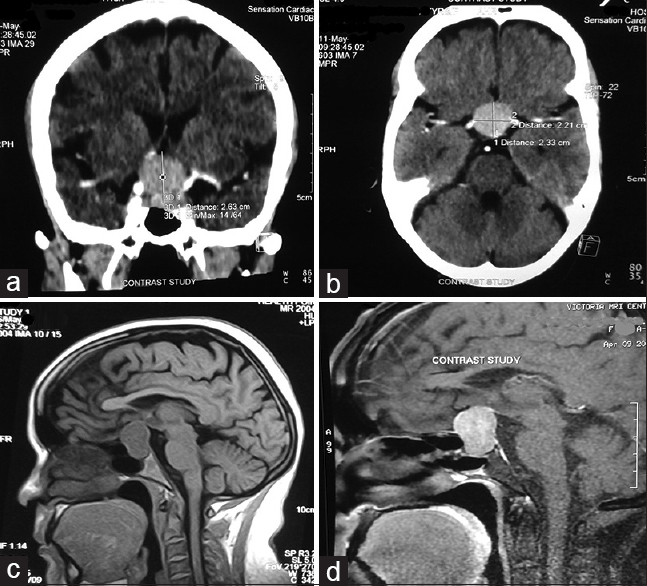 Granulomatous hypophysitis, one of the subtypes of primary hypophysitis, is a rare neurological entity presenting as a sellar lesion with mass effect symptoms and endocrinological dysfunction. Majority of cases of primary hypophysitis are misdiagnosed as pituitary adenomas preoperatively, and histopathology is required for a definitive diagnosis. 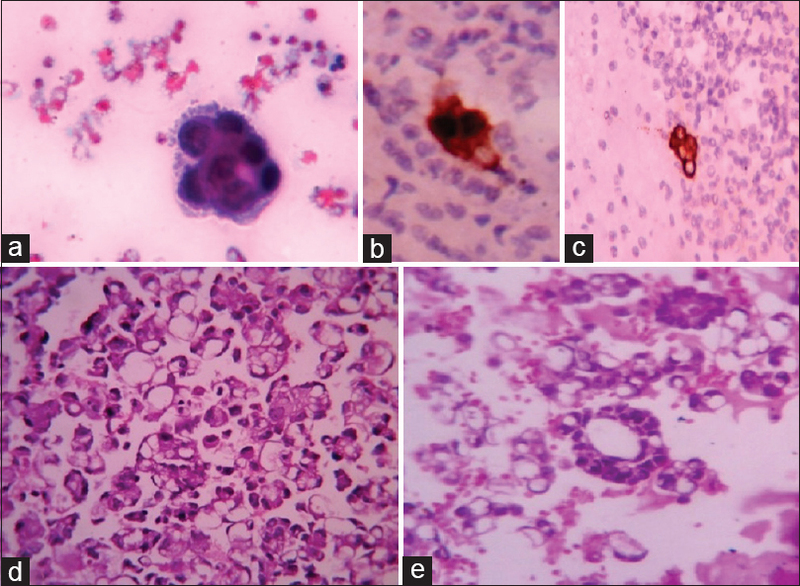 Granulomatous hypophysitis can be primary/idiopathic or secondary to a variety of causes such as infection, foreign body reactions, and systemic inflammatory conditions. The presence of tumoral microgranulomas in pituitary adenoma is exceedingly rare, having been documented only twice previously. We present a unique case of recurrent pituitary macroadenoma in a 59-year-old woman with histopathological features of idiopathic intratumoral noncaseating granulomatous inflammation. The presence of a granulomatous response in the absence of a systemic infectious or inflammatory disorder is suggestive of a local tumoral response to an as-yet unidentified antigen. Neurofibromatosis type 1 (NF-1) is a neurocutaneous syndrome with autosomal dominant mode of inheritance and has a high propensity to develop benign and malignant nervous system tumors. Although uncommon, case reports describing the association of NF-1 and breast cancer are available in the literature. We illustrate one such case of NF-1, with no family history of the disorder and presenting with multifocal invasive carcinoma of the right breast, in an attempt to describe the association between these two entities. We also attempt to extensively review the current literature on the subject. Since patients with NF-1 are at an increased risk of developing breast cancer, we recommend strict adherence to careful clinical breast examination and annual screening mammographic examination starting at 40 years of age in all patients of NF-1. Giant cell tumor (GCT) of distal end epiphysis ulna is a rare presentation, and only few cases are reported in the scientific literature. 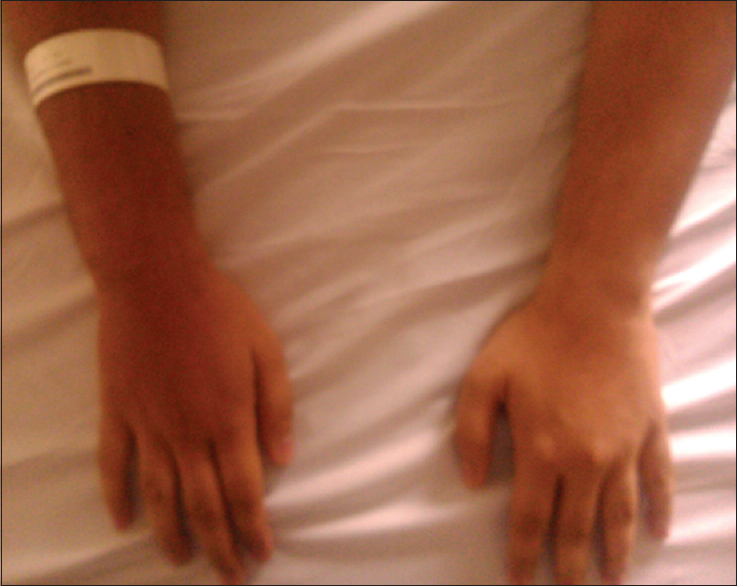 We report a case of GCT of distal end epiphysis ulna treated at our Tertiary Care Hospital, Mumbai. Extranodal non-Hodgkin lymphomas (NHLs) arising in soft tissue is rare. This study describes a rare case of chemo-resistant large B-cell NHL of skeletal muscle, characterized by voluminous swelling in the thigh which responded well to radiotherapy. In this patient, recurrent NHL showed refractoriness to various chemotherapy regimens and was treated with radiation therapy repeatedly with excellent local response and no evidence of disease for 18 months. Most of the published literature describes surgery or chemotherapy as treatment for NHL soft tissue. This is the first case report describing the durable response with radiation without in-field recurrence in chemo-resistant large B-cell NHL skeletal muscle. 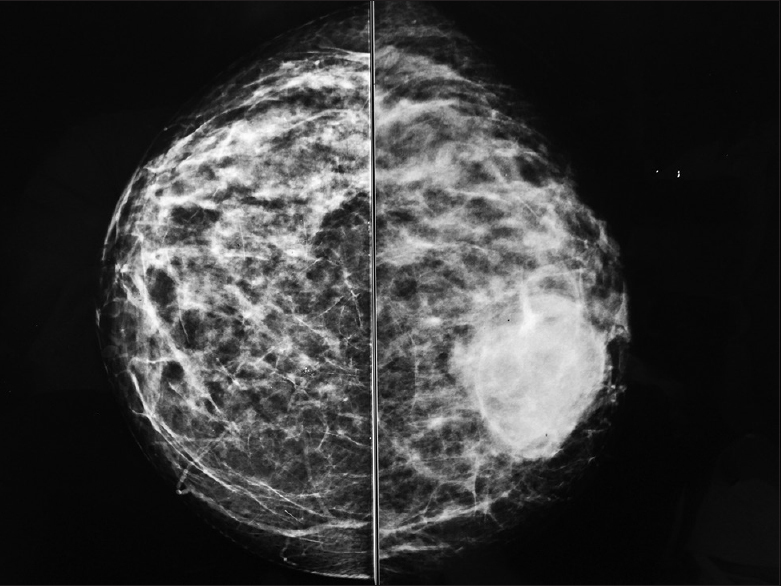 A 38-year-old female presented with the left breast lump for 6 months. Physical examination revealed 11 cm × 7 cm mobile lump in the left breast without any axillary or supraclavicular lymphadenopathy. Mammographically it appeared as benign breast lump (breast imaging reporting and Data System-II). 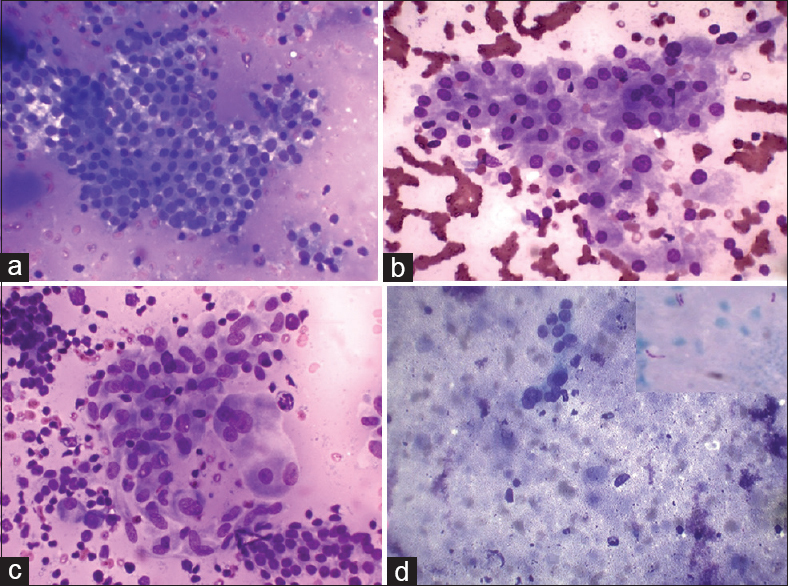 Fine needle aspiration cytology and Tru-cut biopsy were not able to differentiate between benign or malignant nature of this breast lump. For better characterization of this lesion, lumpectomy was performed, which revealed malignant tumor with squamous differentiation along with areas of ductal carcinoma in situ and the inferior margin was not free. For proper locoregional control, left modified radical mastectomy was performed. Postoperative period was uneventful. Final biopsy report of the mastectomy specimen was negative for any residual tumor, and axillary lymph nodes were not involved.